This holiday, get smart. TASSIMO is Canada's best selling single-cup brewer and is the only one that uses smart, barcode technology. This patented technology reads each TASSIMO T DISC and tells the machine how to perfectly brew the selected beverage, with a simple push of a button. Whether you want a frothy milk* latte, tea, hot chocolate or Starbucks® Coffee, TASSIMO delivers a perfect café-quality beverage, exactly as it was intended to be made. Plus it's all without complicated machines, at a fraction of the cost of daily visits to your local café. Smart just got smarter. For the person on your list that wants the up-to-the-minute technology, TASSIMO introduces its next generation brewer, the TASSIMO T65 (MSRP $249.99). This premium, new German-engineered Bosch design offers a contemporary look in sleek Twilight Titanium – a stylish compliment to any kitchen. In addition to all the benefits of earlier models, such as the Mavea premium water filtration system and adjustable cup stand, the TASSIMO T65 includes convenient new features. The multi-lingual LCD display provides a visual guide through the brewing process, and a lighted cup stand highlights the beverage as it brews. The NEW TASSIMO T65 joins the TASSIMO line up which includes the TASSIMO T45 Suprema (MSRP $219) in Magic Black, Silk Silver, Glamour Red and Morning Sun (Orange); and the TASSIMO T10 in Anthracite (black) (MSRP$169.99). "A TASSIMO on-demand brewer makes an ideal gift for the hot beverage lover on your list," says Domenic Borrelli, Vice President, Grocery and Beverages, Kraft Canada. 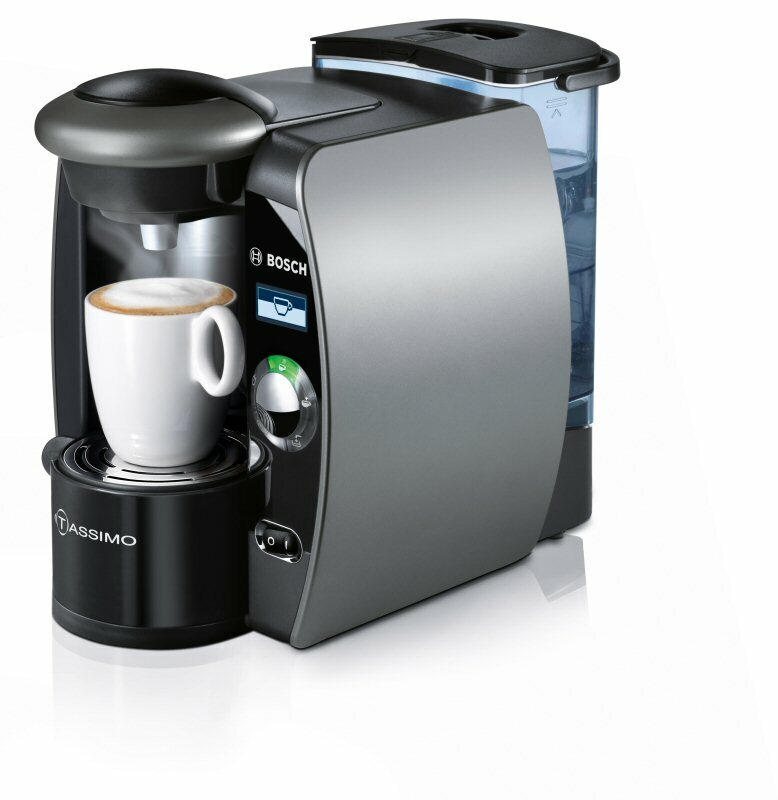 "TASSIMO makes it easy for anyone to make a perfect coffee-house quality beverage every time. With a wide variety of beverage choices from coffee to cappuccino to hot chocolate, the convenience of TASSIMO and ease-of-use will delight the entire family during the holidays." No more stress about how to please everyone at your party once the main course is over. No more fretting over foaming. No more waiting for the kettle to boil. Entertaining for the holidays has never been easier with TASSIMO. This smarter system allows you to brew a coffee for one guest, a tea for another and a hot chocolate for the next with only seconds between beverages. Plus, TASSIMO is the only hot beverage system that makes authentic lattes and cappuccinos using milk*, without an expensive espresso machine. Whether you choose to give a TASSIMO or buy one for yourself, the pleasure of enjoying a perfect beverage at home will live long after the holidays are over. And best of all, TASSIMO is very easy to operate, brewing a perfect cup with consistent taste and temperature every time. All you have to do is choose a beverage T DISC from more than 25 varieties of premium quality beverages. Place the T DISC in the machine, press the button, and TASSIMO does the rest. Each T DISC displays a barcode which tells the TASSIMO the precise water temperature, water level and pressure to use for each hot beverage type, and it's ready in seconds. In fact, the toughest part of using the TASSIMO is choosing what beverage to make. TASSIMO brews a wide selection of coffee, latte, cappuccino, crema, espresso, chai latte, tea and hot chocolate from leading brands including Starbucks® Coffee, Maxwell House, Nabob, Twinings, Kenco, Gevalia, Jacobs, Mastro Leorenzo and Carte Noir. Check out the full range at www.tassimo.com. Kraft Foods (www.kraftfoodscompany.com) makes today delicious in 150 countries around the globe. Our 100,000 employees work tirelessly to make delicious foods consumers can feel good about. From American brand icons like Kraft cheeses, dinners and dressings, Maxwell House coffees and Oscar Mayer meats, to global powerhouse brands like Oreo and LU biscuits, Philadelphia cream cheeses, Jacobs and Carte Noire coffees, Tang powdered beverages and Milka, Côte d'Or, Lacta and Toblerone chocolates, our brands deliver millions of smiles every day. Kraft Foods (NYSE: KFT) is the world's second largest food company with annual revenues of $42 billion. The company is a member of the Dow Jones Industrial Average, Standard & Poor's 500, the Dow Jones Sustainability Index and the Ethibel Sustainability Index. In Canada, company brands include Kraft Dinner macaroni and cheese, Christie cookies and crackers, and Delissio pizza. Bosch Home Appliances is part of BSH Home Appliances Corporation, a fully-owned subsidiary of BSH Bosch und Siemens Hausgeräte GmbH, the third largest home appliance manufacturer in the world. Inspired by the lifestyle of today's discerning consumers, all Bosch products combine superior performance and excellent quality with unrivaled ease-of-use. Opened in 1997, the company's appliance park in New Bern, North Carolina is comprised of state-of-the-art factories for washers, dryers, dishwashers, ranges, ovens and cooktops. The leader in environmentally friendly home appliances, Bosch manufactures products that regularly receive industry and consumer awards and its dishwashers are consistently top-ranked by leading consumer magazines. For more information, please visit www.boschappliances.com or call 800.921.9622 to request a catalog. Tassimo, Canada's best selling single-cup brewer and only one that uses smart, barcode technology, launches the new T65 brewer just in time for the holidays! This premium German-engineered Bosh design offers a contemporary look in sleek Twilight Titanium and convenient new features that include a multi-lingual LCD display that provides a visual guide through the brewing process, and a lighted cup stand that highlights the beverage as it brews.